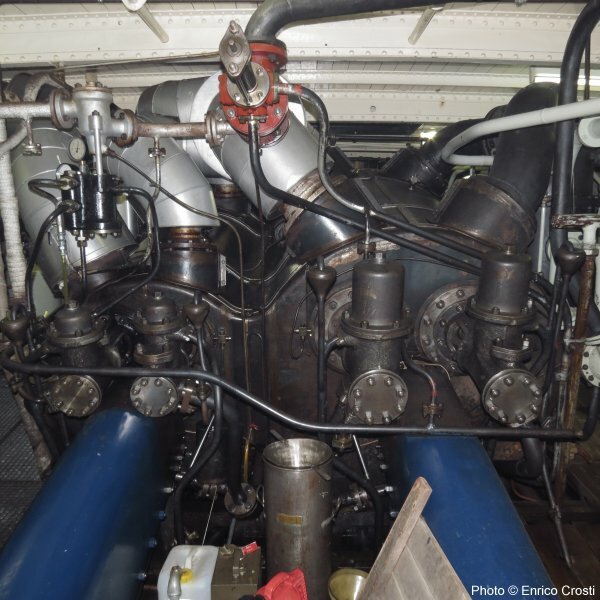 Compound engine with pressurized lubrication and hydraulic valve-gear. 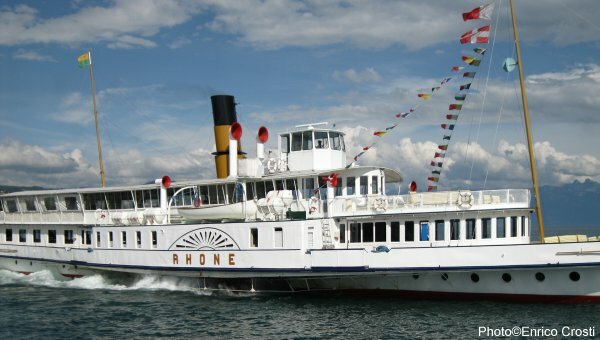 Paddle Steamer Rhône moored. She was the last steamship built by Sulzer Brothers. Paddle Steamer Rhône's two scotch fire tube boilers and one of the burners. 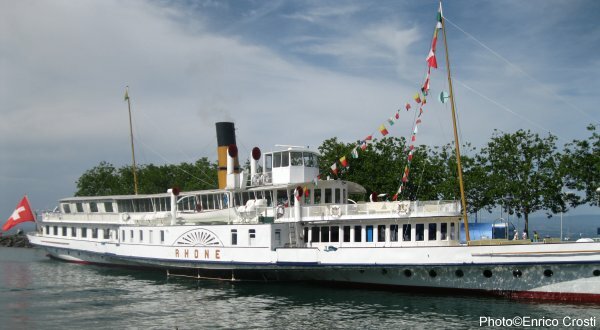 Paddle Steamer Rhône maneuvering place. Transmission of power from the crankshaft to the hydraulic valve-gear control. 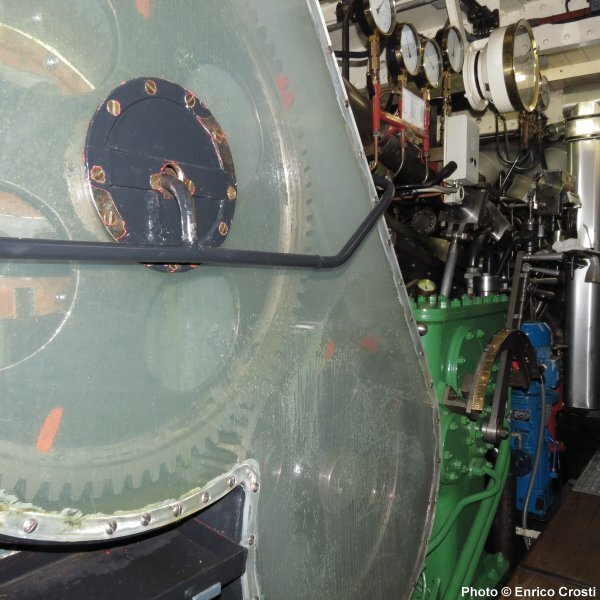 Leftmost the maneuvering place with the handle for reversing the rotation of the engine. 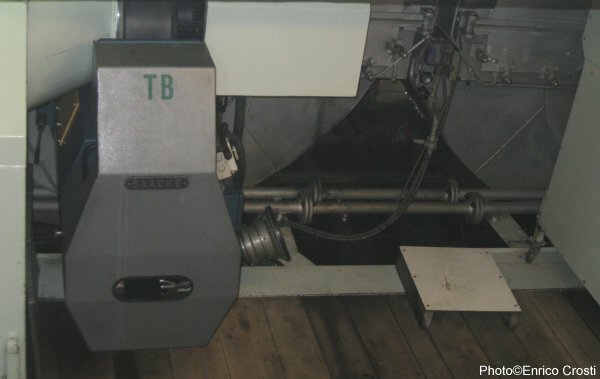 The hydraulic actuators for the cylinders' inlet steam and outlet steam valves. 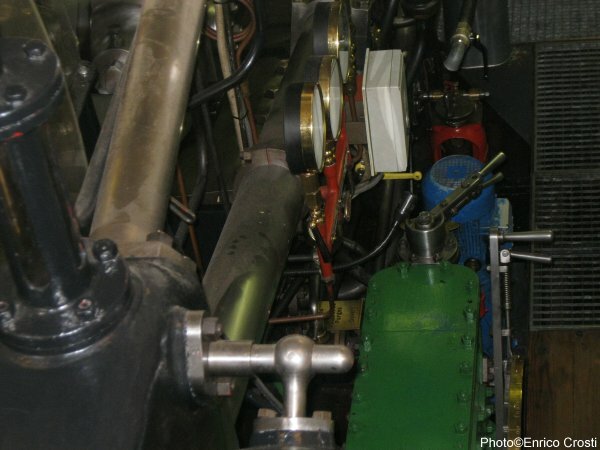 A similar set of actuators and valves are fitted at the opposite end of the steam cylinders.